Looking for a mailing services provider that can help drive powerful marketing results? At Commercial Printing Powered by AlphaGraphics, we specialize in direct mail services for our clients. As a full-service mail house and printing company combined under one roof, we are able to help our clients design, print and mail their marketing campaigns seamlessly while achieving the lowest postage rates. Whether you are mailing a postcard or executing a complex multi-channel marketing campaign, our mailing services combine powerful graphic design services with expert postal regulations knowledge to help you gain more market share. As premier mail house in Raleigh, North Carolina, we have the resources, knowledge, and equipment to help you soar above the competition. Located outside the heart of Downtown Raleigh, our full-service print and mail facility has the ability to meet your quick turnarounds and your budget restrictions. Additionally, our state-of-the-art software allows us to achieve the lowest postage rates, which allows you to save money for other marketing needs. Don't have the space to store all your printed materials? We can help! Contact us today to learn more about our warehousing capabilities. Our experienced team of graphic design professionals and mailing specialists work together daily to build powerful marketing campaigns. Combining expert design with extensive knowledge of USPS postal regulations, we work to create dynamic and dimensional mailings that deliver a powerful return on your marketing investment. 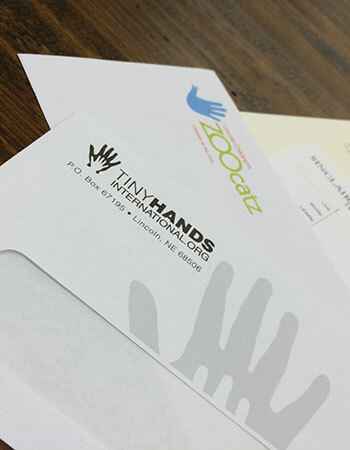 Direct mail has never been easier than working with our Commercial Printing Powered by AlphaGraphics team. We will work with you from start to finish to evaluate your direct marketing campaign, analyze mail piece design and create powerful custom mail solutions that maximize your postage budget. Since we handle your project from start to finish under one roof, we maintain quality control and quick turnarounds to help you reach your clients before the competition. Are you ready to grow your business through direct mail? Our mailing services in Raleigh will help you reach new clients while elevating your brand along the way. Our team of mailing specialists is standing by to discuss your next mailing project. Contact us today at 919-832-2828.